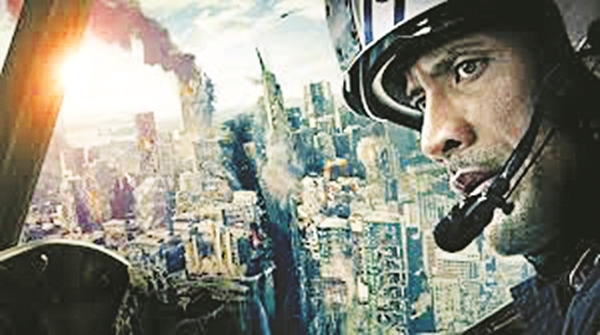 When the entire San Andreas fault line is activated and the biggest quake ever hits San Francisco, divorce papers, engine failure and even a tsunami cannot stop Ray (Johnson), a rescue helicopter pilot, from saving his family. Over the top when it comes to surviving certain incidents, the film is an entertainer with dramatic (but intimidatingly realistic) CGI adding to the suspense of whether The Rock will come out a hero or not. When Maggie Vogel (Breslin) is infected by a virus that will turn her into a zombie, her father Wade (Schwarzenegger) is devastated. A small-time farmer, he commits himself to the cause of saving his daughter. A far cry from other zombie films, this one takes it down a notch with less gore. A convincing portrayal by Schwarzenegger makes it worth a watch. gets the power to see ghosts. Of Suriyaa��s two avatars, his sleek vendetta seeking one is appreciable. Taking inspiration from various foreign films, and not integrating them in a coherent manner, seems to be the main problem. moments are few and far between.